Originally Submitted to FurAffinity.net on December 6th, 2013 02:35 AM. Before it was transferred to Inkbunny it had 2558 views and 605 favorites. One of two new images I did for The Year in Fur 2014, and a homage to my favorite time of year - autumn! 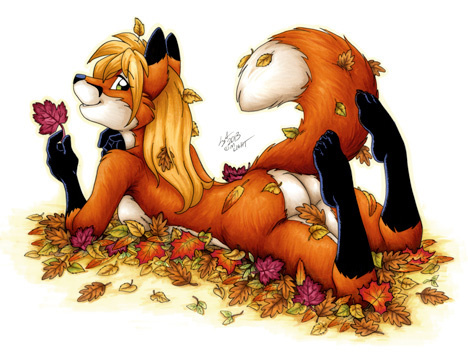 What better animal to frolic in the falling leaves of fall than the red fox vixen?